Right, we need a thread for comics. 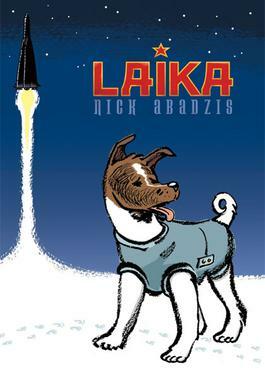 I've just started to read a comic book about Laika. It's so lovely (and really well researched) and tells the story inbetween the launch of Sputnik and Laika being sent into space - it's really sad as a family had to give her up as a puppy and she ended up being a stray on the streets of Moscow before being caught and given over to the Space Agency. The book also follows the life of the chief designer of the Russian satellites and it's just introduced the dog handler at the space agency too. At the moment, they're putting all the dogs they have through tests to see which ones can withstand take off best and which ones are partial to the gell packs they'd put in the capsule to eat. It really captures the spirit of the early days of the space race. Laika always captured my imagination.. I remember even writing a half-arsed story about her once. Although she was a male in that as I hadn't realised the full glory of her femininity at that point. I like to think she saw beautiful, unimaginable things in space before she ended up..well, yknow.. I didn't realise they were still putting dogs through this. I don't know why it surprises me really. Sorry, tangent there, I think. Oooh, no I meant "at the moment" as in "where I'm up to in the book". I'm sure that anything they send up into space these days comes back down. But yes, it's such a brilliant topic for a book. I love the myth(?) that an amateur radio buff bounced the morse code for "Bow wow" off the satellite she was in. Wait a minute. 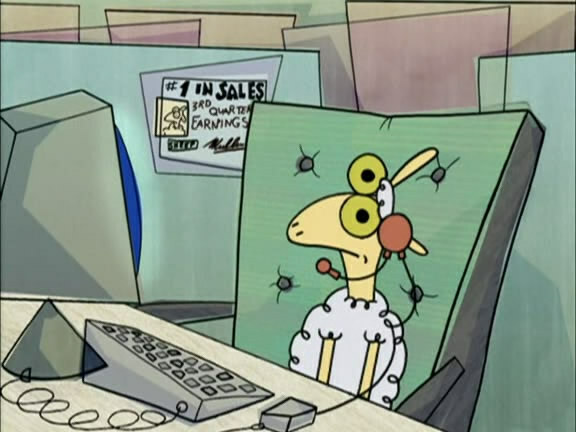 They sent Laika on a one-way trip to space?!?! Christ I can't breath..
Warren Ellis' new webcomic Freakangels started today. Final Loan wrote: Warren Ellis' new webcomic Freakangels started today. Good stuff so far. I've been reading Transmetropolitan recently, so this has jarred me back into the world of Warren Ellis. Last edited by aorta on Tue Feb 19, 2008 15:33, edited 1 time in total. I was talking to someone about a comic the other day about the brit pop scene apparently. but i also seem to remember Kenickie being mention a lot. so erm, does anyone know if Phonogram is like to be the same thing? round bits of plastic wrote: I was talking to someone about a comic the other day about the brit pop scene apparently. but i also seem to remember Kenickie being mention a lot. so erm, does anyone know if Phonogram is like to be the same thing? yep, that's it. unless there is another comic out there with a lot of kenickie/britpop references. annie wrote: yep, that's it. unless there is another comic out there with a lot of kenickie/britpop references. ace, thankyou, i'll be looking out for that then. also, thanks to Soft_Revolution who pm'd me to point out there's a separate thread for that comic. oops. i'm about to start reading omega the unknown after picking up a couple of back issues. it looks pretty good, and i'm sure the writing will be great. Anyone like Simone Lia? I do. And Jeff Brown. Gosh! in London is a really nice shop. I got a big box of Jack Chick Tracts there. I'm not so into super hero stuff, although I do like me some Watchmen. That Laika man is giving a talk at Birkbeck (or has done). Laika's sitting in my 'to read' pile. I also saw the trailer for Persepolis on iTunes and it looks AWESOME. These are some random facts about how my life intersects with graphic novels. The new Omega series was pretty exciting at the beginning but it's starting to get kind of really confusing and losing me. I don't know what that is... I have to work out how far through the buddha octology (is that a word) I've got, as I stopped reading them for a while. I've got lots of Joe Sacco, Harvey Pekar, a bit of Eisner, Clowes, charles Burns, Chris Ware, is this all indie by numbers? i'm with you on jeff brown and joe sacco. i'm guessing it's pretty much the concesus as i'm pretty much at the arse end of comic-fandom. my favourite ever-est has to be Bryan Lee O'malley's Scot Pilgrim. I even made scot pilgrim badges a few weeks back. i'm not so sure about this film that's *possibly* being made. films are rubbish. my favourite stuff, in no particular order is: los bros hernandez ('love & rockets'); daniel ('eightball') clowes; bruce timm; charles burns; chester brown; jeffrey brown; richard sala; rick altergott and ariel bordeaux's 'raisin pie'; jack kirby; wally wood; ghastly graham engels, dan de carlo; jack davis; will elder; vintage 2000AD and Marvel/DC comics from my yute; leo baxendale; charles schulz, this is just a long list, isn't it? i'm adding John Porcelino, Peter Bagge and Mitch Clem for now. I'm going to check out some hernandez. Gosh! had little signed copies of Jeff Brown books (and in fact I got a little numbered print). I almost blackberry-emailed him from Proms in the Park (I was selling beer and champagne to Toffy Apples) as his books had a special emotional impact on me (At least while I was reading them). I like his little soundtracks of the story written at the end of the book with little doodled album art. Even if one of them might have been the Postal Service or something. I like political stuff a lot. Has anyone been to the Political Cartoon Gallery off of Tottenham Court road? I'm nervous to go in by myself... Safe Area Gorazde by Joe Sacco, and Pyongyang by Guy Delisle. I'm guessing Drawn & Quarterly and Fantagraphics are really the way to go. Still, if you haven't checked out Simone Lia's 'Fluffy', I urge you to. Good story, good style, nice pictures, it's all lovely. i need more comics. post amazon links please!